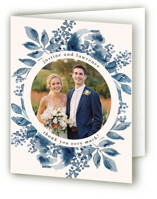 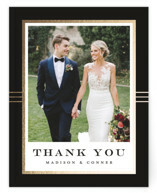 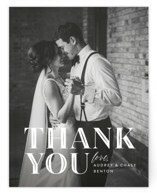 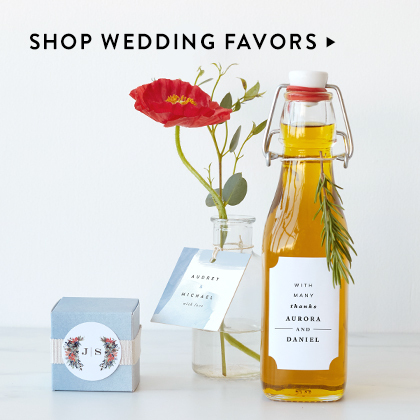 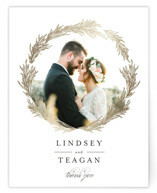 Thank your guests in style with our unique wedding thank you cards created exclusively for Minted by our community of independent designers. 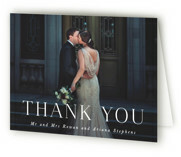 Choose a photo thank you card to display a wedding or honeymoon picture, or customize one of our thank you card designs without a photo. 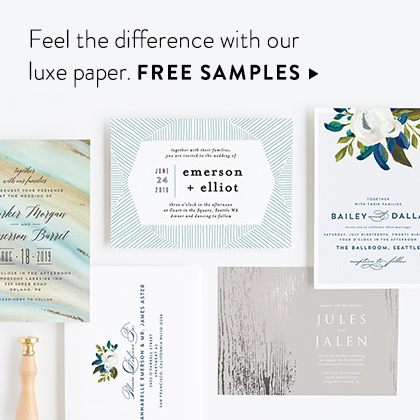 Add extra shine with one of our beautiful foil-pressed selections. 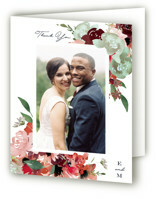 You can either match your thank you cards to your wedding invitations, or fall in love with a new style that compliments your day. 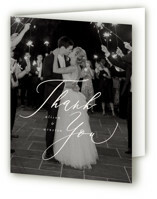 Need some assistance with wedding etiquette, the thanking process, or wedding thank you wording? 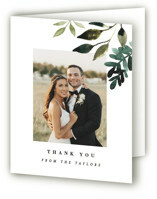 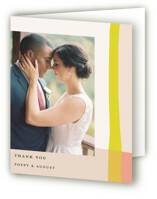 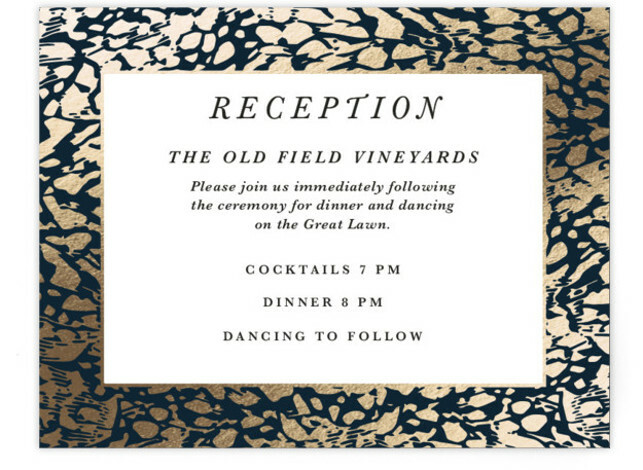 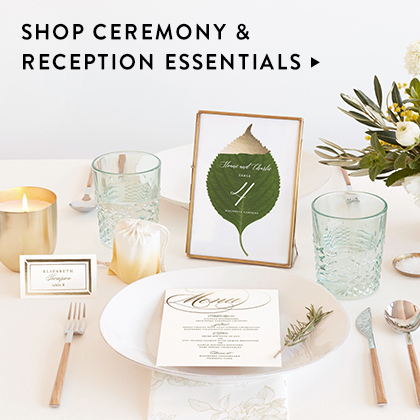 Minted created the perfect, in-depth, wedding thank you card guide to take stress out of the equation. 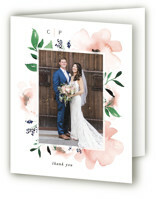 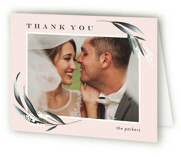 With over 1500 beautiful options, and the words to match, we have thank you cards perfect for you and your momentous day. 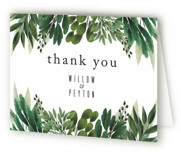 Our eco-friendly thank you cards are all beautifully printed on our 100lb. 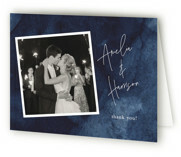 Signature Paper. 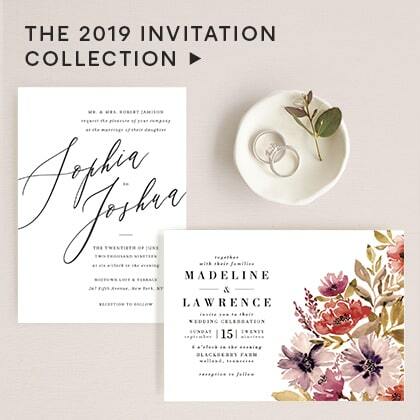 You will find that our Signature Paper is a luxurious stock with a soft cotton texture, perfect for your final wedding correspondence. 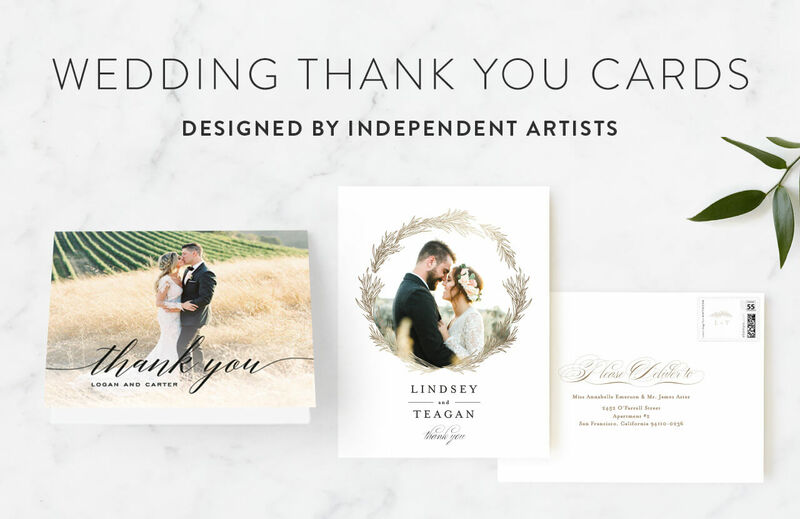 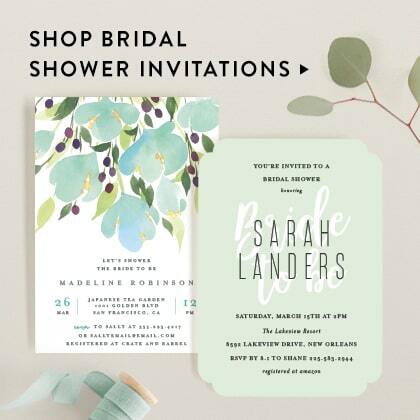 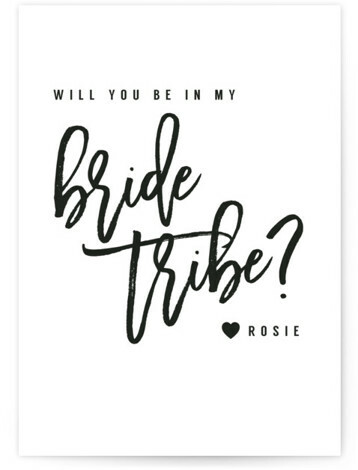 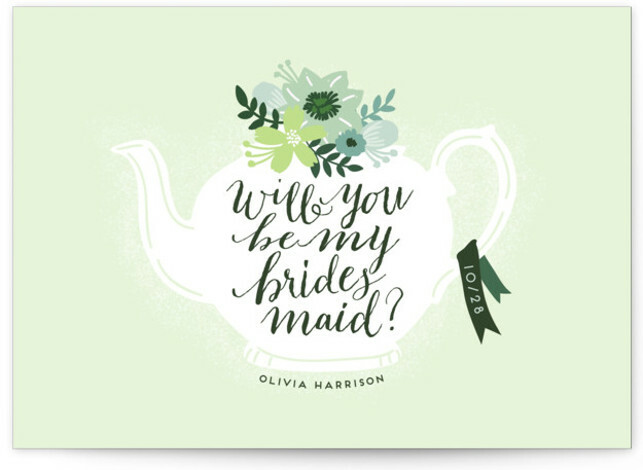 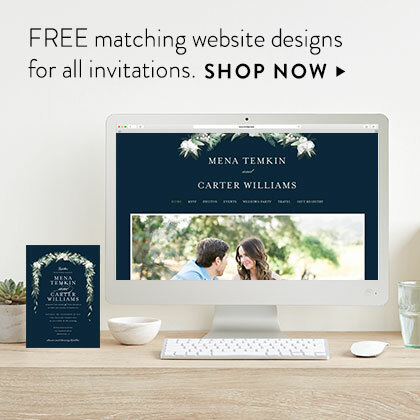 Once you have found your perfect wedding thank you card design, easily complete your suite with rsvp cards, reception cards, vellum overlays, belly bands, and more. 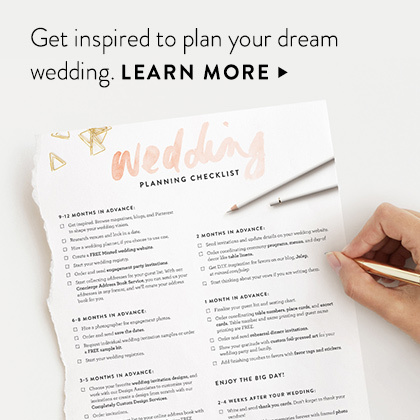 Want to be sure everything is just right? 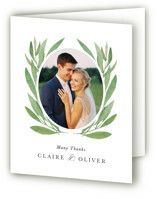 Please don’t hesitate to indulge in unlimited proofs from your dedicated Minted designer. 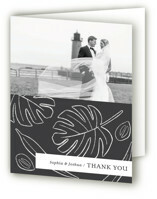 Please enjoy our gift of FREE custom envelopes, and FREE guest addressing.